Recently, a visitor here at EducationCloset had requested book ideas for getting kids up and moving and interacting with the literature. I remembered a book that I recommended way back in October in an article about children’s books that could help free the inner artist, but it also seemed a natural book to get kids up and moving. I have never taught this book before, but I thought it would be such fun to create a lesson integrating literature and dance using this book, so I did. Here is my idea for an arts integration lesson integrating literature and dance for first or second graders using Mem Fox’s book The Straight Line Wonder, illustrated by Marc Rosenthal. It is the story of 3 straight lines who were friends until one line decided he did not want to be straight anymore. In the end, he become famous for his non-linear movements, and he reunites with his straight line friends. It is a book with wonderful movement opportunities and an important message. 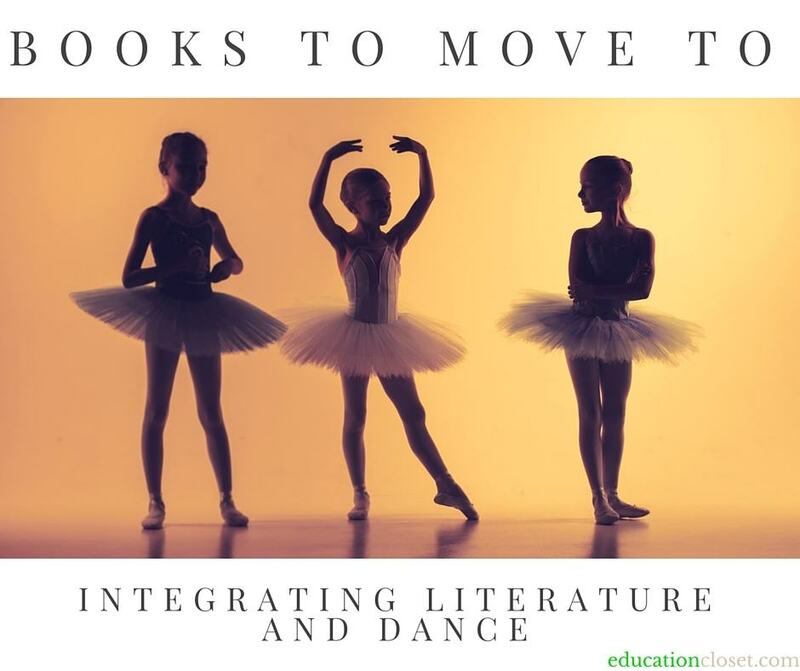 May this lesson help open your students’ eyes in integrating literature and dance inspirations that surround them while bringing them to a deeper understanding of story! -CCSS.ELA Grade 1 RL.2. Retell stories, including key details, and demonstrate understanding of their central message or lesson. -CCSS.ELA Grade 2 RL.2. Recount stories, including fables and folktales from diverse cultures, and determine their central message, lesson, or moral. -Grade 1, DA:Cr1.1.1 Explore movement inspired by a variety of stimuli and identify the source. -Grade 2, DA: Cr.1.1.2 Explore movement inspired by a variety of stimuli and suggest additional sources for movement ideas. -Using partner talk, whole class discussion and nonverbal cues have students discuss/indicate whether they have seen a dance performance, whether they know what a choreographer is, and whether they have any ideas where choreographers get their ideas in integrating literature and dances they create. -Show a clip of the ballet Cinderella (you may wish to show just some of this 10 minute clip). Tell the students to look for a familiar story. Ask the students to identify the story being told through dance. -Explain that a choreographer is someone who creates and integrating literature and dance movements for the dancers. -Have the students brainstorm the different ways this choreographer might have been inspired to create his choreography (the story of Cinderella, the music, etc.). Explain that when a choreographer is inspired by a story or a book, s/he needs to know the main idea or central message and the key details of the story or the lesson/moral and then integrating literature and dance to demonstrate those ideas. -Read the story The Straight Line Wonder by Mem Fox. Instruct the students to listen for things in the story that might inspire movement and give a thumbs up when they hear something that makes them think of a movement. -Have the students identify the main characters and the types of movements each character might do (2nd and 3rd straight lines might stand straight, wag finger, put up stop sign hands, put hands on hips, etc. ; 1st straight line jumping in a rounded shape, twirling, sharp/angular movements, etc.). Have them practice the various movements. Discuss what lines 2 and 3 can do to show they have “run off” (sit down, turn their backs to the first line, etc). Have the students experiment with those movements. Explore how the lines can show they are friends in the end and still show who is which character. Have the students experiment with those movements. -Put the students into groups of 3. Read through the story with each child in the different groups moving as one of the three characters. Read through the story 3 times so each child has the chance to be all three of the line characters. -Create a storyboard with the students to demonstrate the relationship changes of the three lines (friends admonish, friends leave first line to dance alone and get discovered, friends in the end). Have the students identify the central message or lesson in the story and decide how that can be shown in their movement. -Have students in their small groups establish the roles. Play instrumental music for the groups indicating when they should perform the next part of their dance (beginning, middle and end). Have them rehearse their performances. -Have students dance their pieces for one another. The students should watch for the movements that indicate the identity of the character and the relationship of the friends in each part of the story. In order to meet the dance standard for second graders, have them keep their eyes open for other sources of dance inspiration and allow them to explore those movement ideas as well! -Watch individual students for appropriate movements at the appropriate times as they demonstrate their dances. -Have students write and/or discuss how they demonstrated the central message in their dance and have them identify the source of the inspiration for their movement.